It's magical to watch actors Natasha MacLellan and Christian Murray transform themselves into the memorable charters who inhabit the 1940s Cape Breton mining town in Lauchie, Liza and Rory. MacLellan manages to morph from the story's narrator, a spinster with a wry sense of humour and a wonderful grasp of what makes people tick, to the fresh-faced, optimistic and romantic Liza by merely doffing her glasses and changing her posture. Murray convincingly brings to life a set of identical twin brothers, one pokey and introverted, the other dashing and reckless, both of whom fall for Liza's charms. As well, the two actors play several other roles including a tart-tongued matron who is delightfully represented by a portrait on a rolling stand. 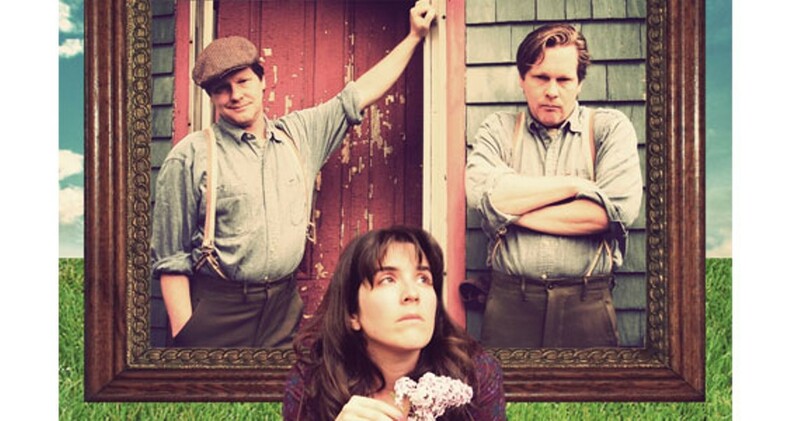 The story is sweet and Mairi Rankin's fiddle music is evocative, but it is its creative staging that makes this little play truly shine.